Rickhamre Hofmann, a Coast company, becomes member of the American Chamber of Commerce, in Sweden, AmCham. 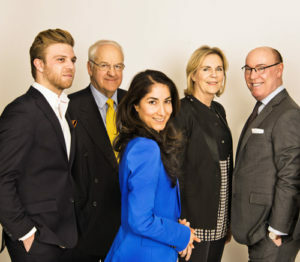 Second from left, Gunnar Hesse, Chairman Emeritus American Chamber of Commerce Sweden. AmCham Sweden promotes U.S. – Swedish trade and investment and US commercial interests in Sweden and serves as the voice of American business in Sweden. Among its members, it counts a wide range of industries and in size everything from small startups to global groups. Rickhamre Hofmann AB is a Nordic communications agency with headquarters in Stockholm Sweden. The agency aims to strengthen and protect people, companies, and brands. The purpose of all communication is to help our clients achieve their business goals. Rickhamre Hofmann Coast, is an exclusive Swedish member of the association PRGN with 50 selected owner-led agencies in close cooperation all over the world.